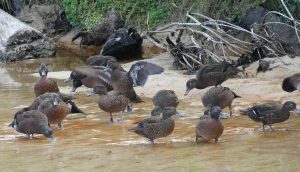 “This is the beginning of a reinvigoration of the captive breeding population in the north of the South Island. These birds all have genetic links to the top of the south and will potentially create three breeding pairs that could start reproducing as early as next year,” says DOC’s South Island Captive Kaka Breeding co-ordinator Rosemary Vander Lee. 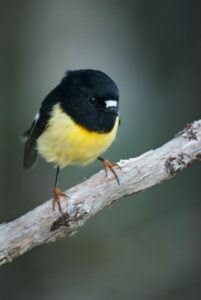 Genetic inbreeding in bird populations was recently highlighted as a threat to native birds in the Parliamentary Commissioner for the Environment’s report, Taonga of an Island Nation : Saving New Zealand’s Birds. Project Janszoon ornithologist Ron Moorhouse says the large, gregarious parrots are very rare in the Abel Tasman and until now it has been difficult to source kaka with the best genetic links to release. “Birds need genetic diversity to survive and we can now establish a northern South Island breeding population of young birds, that are not related. This new genetic stock will become the source for kaka to be released into the Abel Tasman and other top of the south locations,” he says. The three male kaka have been raised at Natureland Wildlife Trust since they were taken from wild nests in Nelson Lakes in early 2016. The female kaka all have genetic links to the northern South Island and have been raised at South Island captive breeding aviaries. “The males have been raised here since they arrived as fledgling wild birds. It is an exciting step to be able to pair them with the female kaka and we hope they form lasting relationships and begin breeding,” says Natureland Wildlife Trust’s Meg Rutledge. 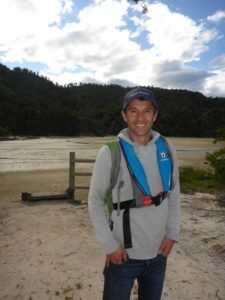 The captive breeding programme hopes to harvest more chicks from Nelson Lakes and the Wangapeka in Kahurangi National Park to further boost the breeding population and strengthen its genetic resilience. Six females in the Wangapeka and two in Nelson Lakes have been captured and fitted with transmitters so that any nests can be found if they breed. Project Janszoon is planning to restore thriving populations of kākā back into Abel Tasman National Park, through a combination of predator control and translocations of birds. Since 2015 it has successfully released four female kaka to join the small remnant population of wild male kaka. In November Andrew Digby volunteered to assist Project Janszoon placing acoustic recorders in the forests around Canaan in the hope that we might detect kiwi.